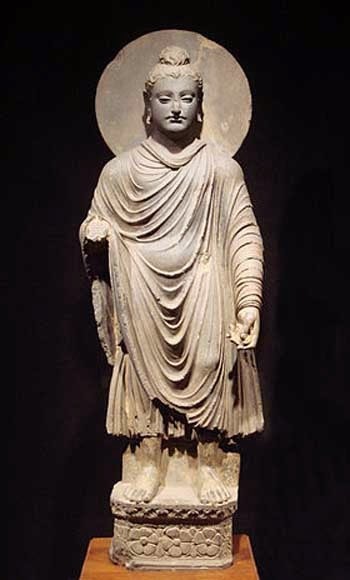 Statue of the Buddha from what is now Afghanistan, first or second century A.D.
Perhaps all of the ecological problems that Western Buddhism is rightly concerned with are the symptoms of having any sort of worldview at all, not the result of bad science. 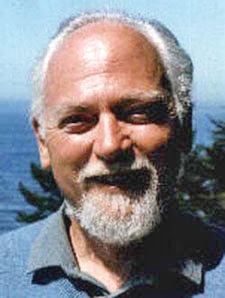 Buddhism implies adrsti, having no attachments to any worldview, even an enlightened take on ecology. To have no worldview, to fully embody the fact that all perspectives are empty, is to seemingly invite madness. This is not the case. Madness involves the dogmatic adherence to one belief system above all others. Buddhism demonstrates the provisional nature of all belief systems, including science and including itself. Ecology may provide detailed models on how matter and energy are circulated within a network, but the demons and deities within traditional modes of thought may, as Jung often repeated, allow insights into human psychology far in advance of our current understanding of the mind. 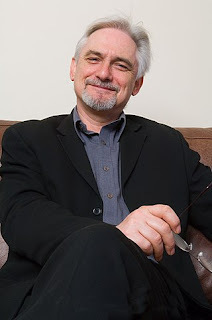 Anyone interested in Buddhism or skepticism should check out the post.